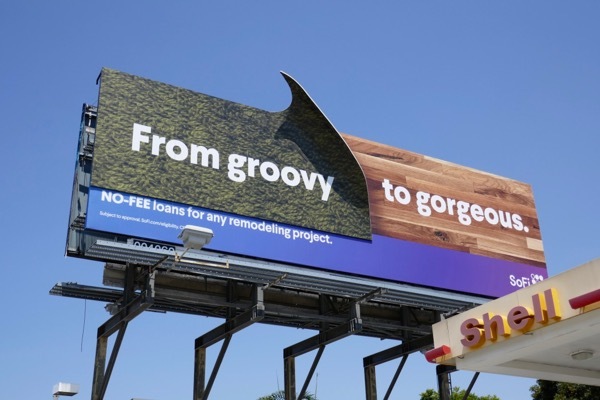 Just how do you make loans and financial services interesting, well this special billboard installation from SoFi for remodeling projects is a good start. 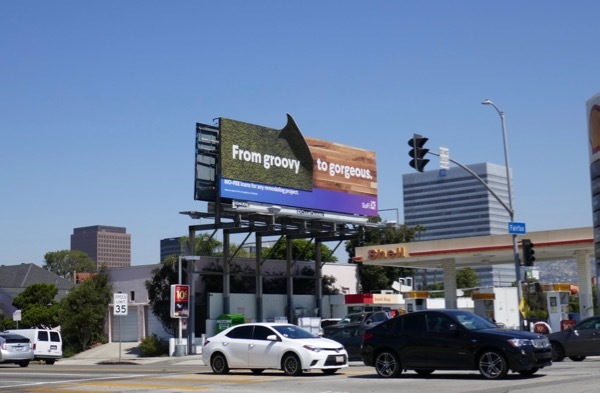 This eye-catching billboard suggesting someone pulling up their 'groovy' carpet to replace with some 'gorgeous' hardwood flooring was snapped along Fairfax Avenue at Olympic Boulevard on July 4, 2018. 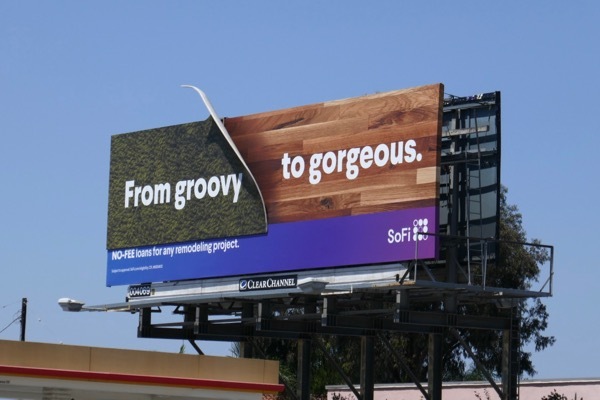 And if you like this engaging outdoor ad creative (custom fabricated with the help of Atomic Props & Effects), you can check out more fun SoFi billboards from 2015 and 2016. 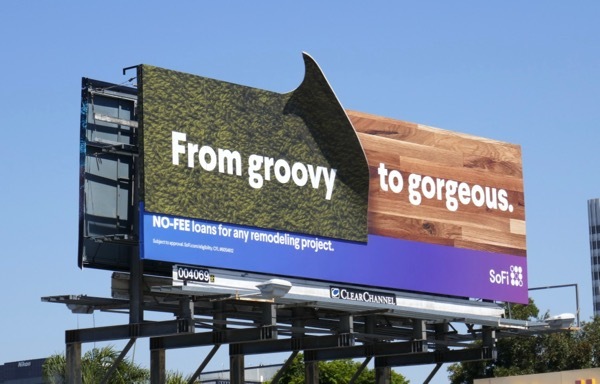 What long overdue home improvement project will you be tackling this summer?